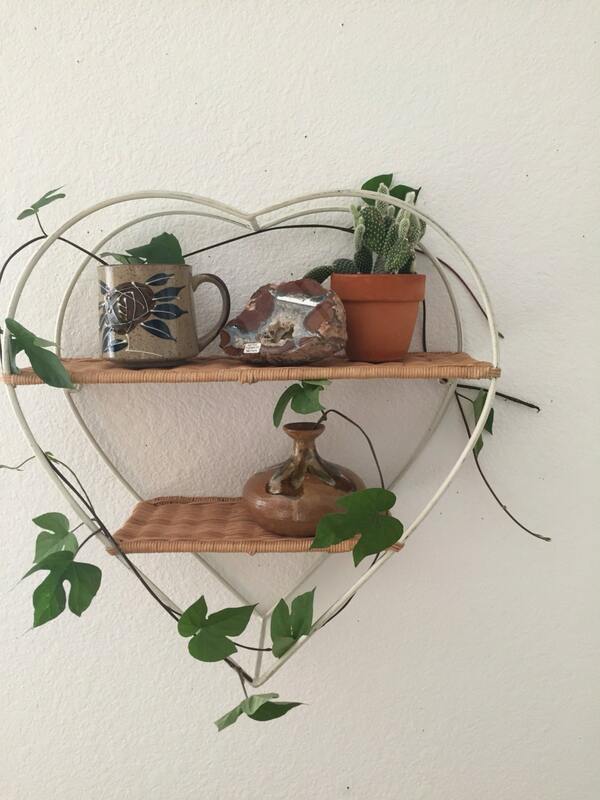 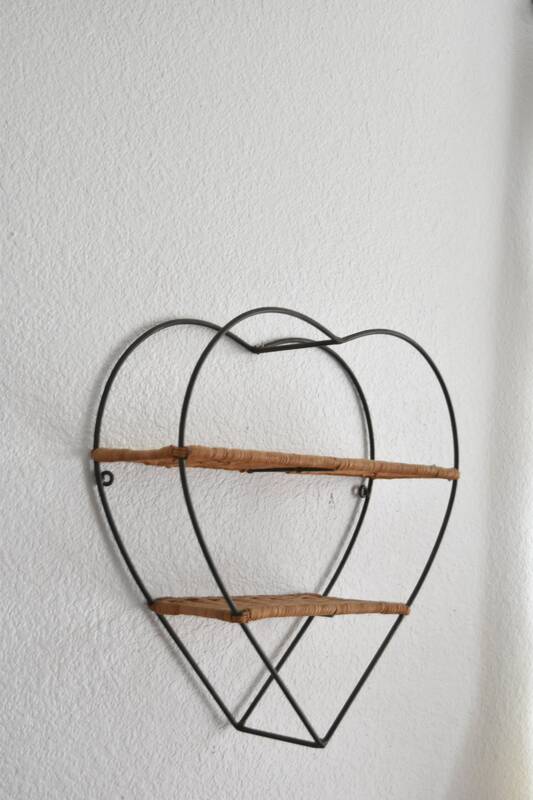 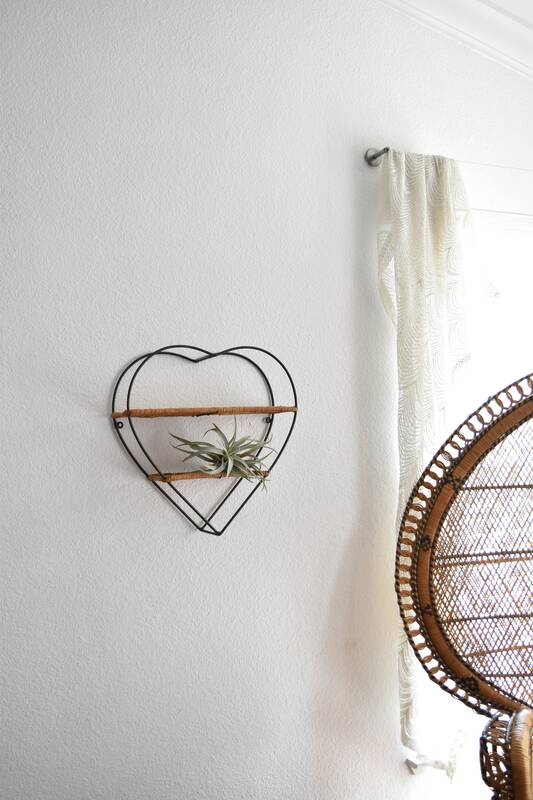 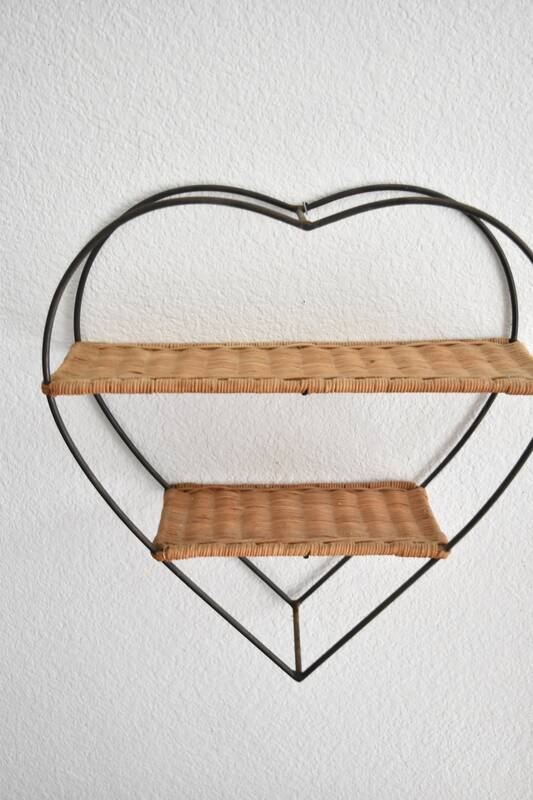 Pretty heart wall shelf. 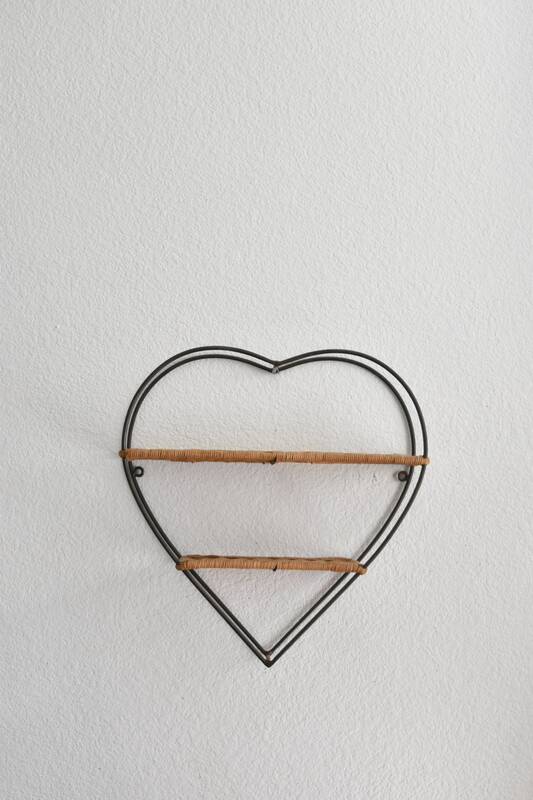 Made with a black metal frame and wicker shelving. 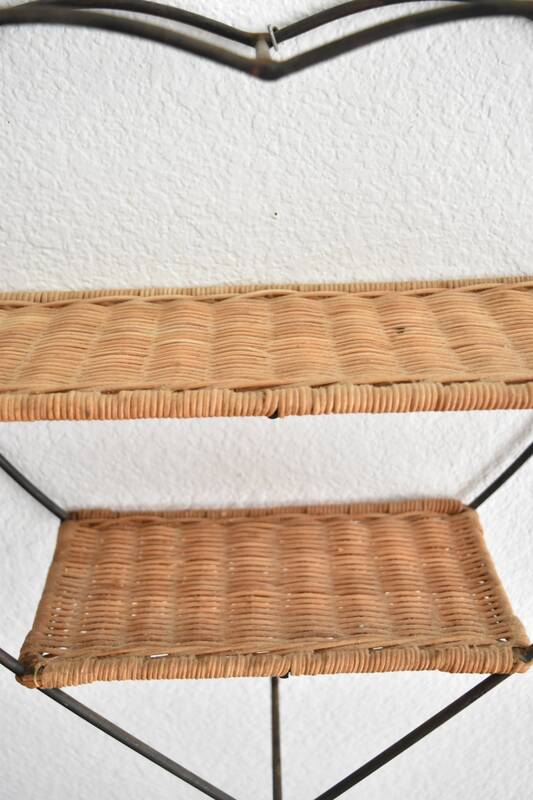 In good condition with no structural issues. 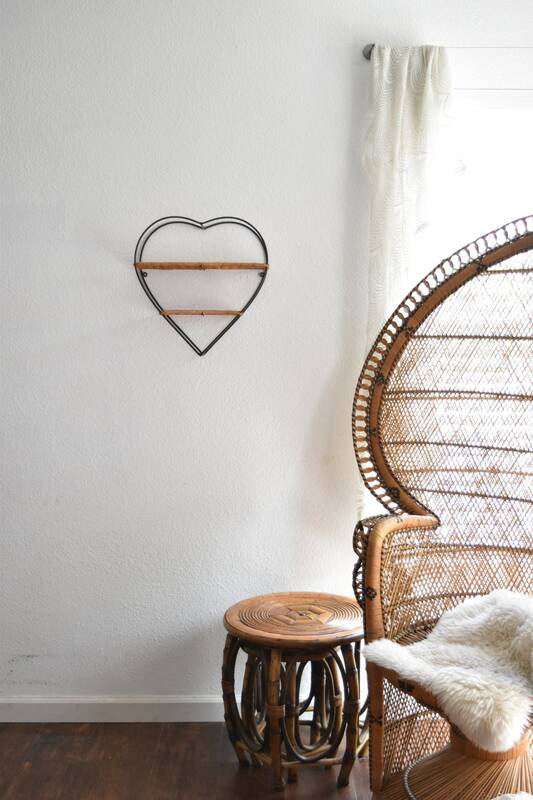 Perfect for a little girl's bedroom. 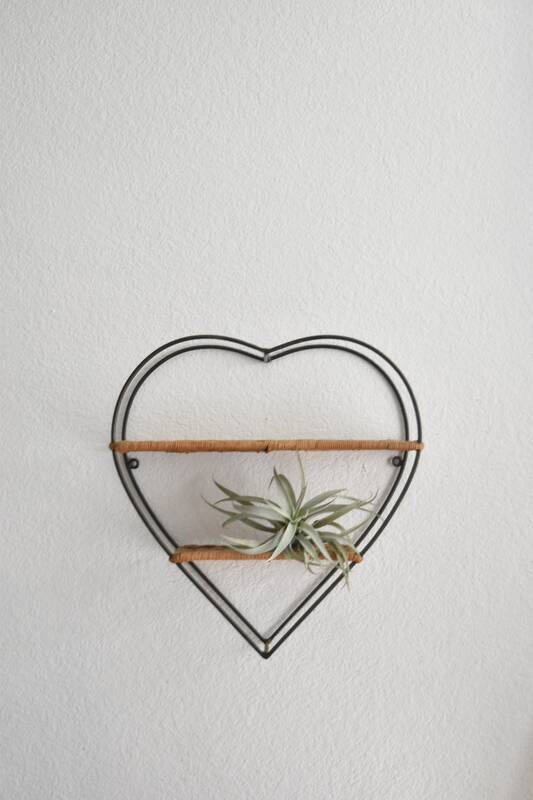 White one has already sold.